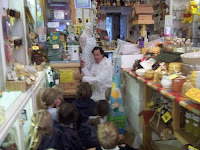 The Hive Honey Shop has a long standing record of supporting the local community with free children ‘Bee Talks’. They take time out of their busy day and set aside the time to provide charity work to improve better understanding of why honeybees are so important to our planet and why we need to look after them well. Yesterday 30 children from The White House Preparatory School were treated to one of The Hive Honey Shop’s free ‘bee talks’ now into their twentieth year. There were two group sessions. The first were 15 children ages 5-6. The next session 16 children ages 6-7. The talk covers why and how bees make honey and pollinate plants, who are the enemies of the honeybee, why they are so important to us and how we can help them survive. 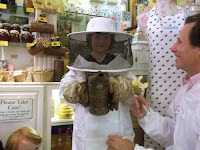 Chris from The Hive Honey Shop said, We try and make it an experience they will long remember. 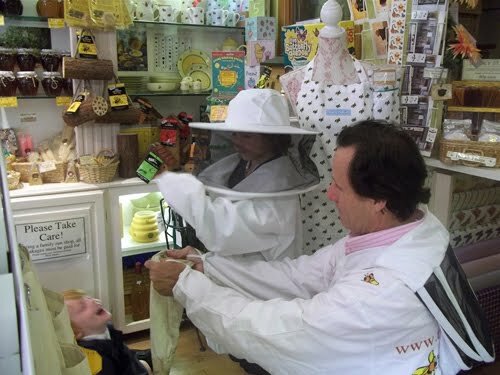 There are simple visual aids, like our finger bee puppet, honey bear hand puppet, flowers, honeycomb to feel and smell. 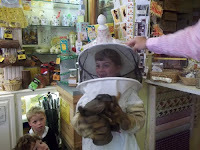 The speaker wears a full bee suit which the kids find fascinating. They leave with a great deal of knowledge, free stickers and beeswax pieces. 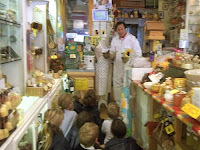 The talks take place at the shop. We all stop what we are doing, and put education before profit. 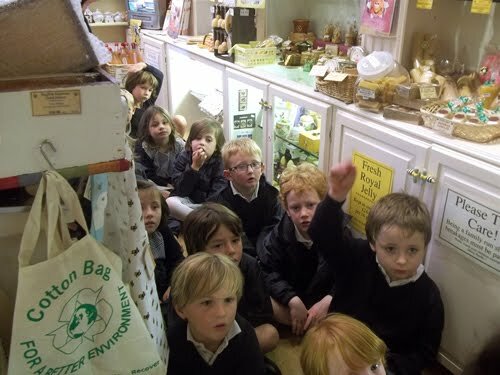 It is our hope that these children will grow up with fond memories of having learned how to embrace and support the natural world around them.